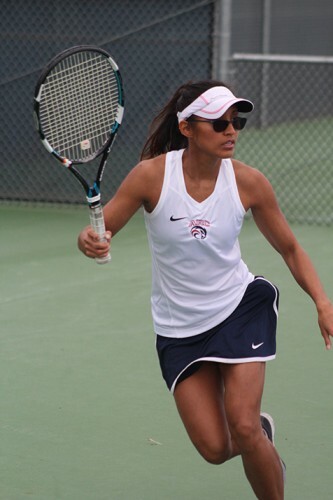 American River College’s women’s tennis team continued their season-long struggle by losing 8-1 to Big 8 rivals Sierra College on Tuesday. 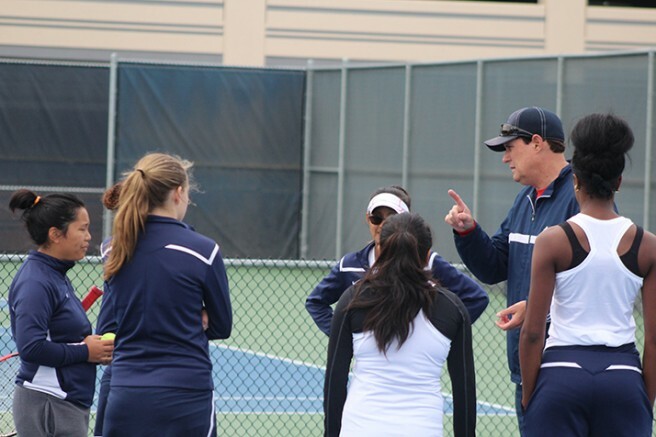 The women’s tennis team had a rocky preseason as a planned coaching change fell through right before the start of the season, meaning that there was little to no recruiting done for the season. “It’s a rebuilding year,” head coach Steven Dunmore said. “We’ve had a lot of turnover with the coaches and it’s very important to have continuity with your coaches… unfortunately there was no recruiting done, so we are trying to do the best that we can, get a little better each week, and try to get the most out of it,” Dunmore said. ARC only fielded five players for the match as one player was injured for the season, and another had a scheduling conflict. “With the limited number of players and the turnover of coaches, we have to do things that are sometimes less than ideal,” Dunmore said. The Beavers remain winless at 0-6 on the season, but were finally able to pick up an individual win thanks to the play of Sophomore and team captain Addie Ramos. Dunmore said that he hopes the team can build off the momentum of Ramos’ win and set a positive example going forward. “I think it’s a huge win for Addie and hopefully the rest of the team can see it and build off of it,” Dunmore said. I’ve been working on my stroke and today I felt in the zone so hopefully I can do that for the rest of the season,” Ramos said. Assistant coach Deanne Dinio said that the team has work to do so that they could be competitive in conference games. ARC’s next game is away to Shasta College on Friday. Be the first to comment on "Women’s Tennis team continues to struggle"